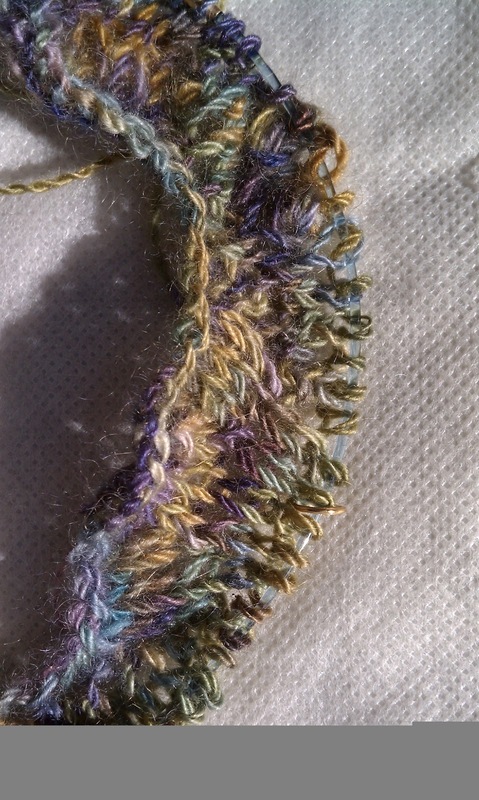 I cast on and worked the beginning edge and a few rounds of the lace pattern. This is my first legit lace project so I am taking my time and counting and recounting my repeats. So far, so good. This is not a large project; it has a beginning edge and ending edge, each consisting of 5 rows. The lace body is 36 rows. The size and how much yarn I have after the first 36 rows will determine whether or not I venture on to another repeat. I am taking advantage of October’s wall-to-wall blue skies to take photos in natural light. I have done a disservice to both Mother Nature and spinner. As the project progress, hopefully you will be graced with a more complementary pic. One thing I wish to share about this project is the ‘nupp’. This feature of lace is worked over two rows. At least in this pattern. Having never done lace before, this was a first for me. The chart symbols were quite interesting; a ‘V’ on the first row of the stitch, with an inverted ‘V’ on the second. Took me a while to realize there was a small 5 inside the ‘V’, indicating how many knits/yo combinations that comprised the nupp. Very cool indeed. A while back, I received an update to “myrawoodoriginals” channel on YouTube, demonstrating a simplified way to create a nupp. I tried it in this pattern and loved it. I will include the link for your viewing pleasure. I highly recommend subscribing to this and other channels. 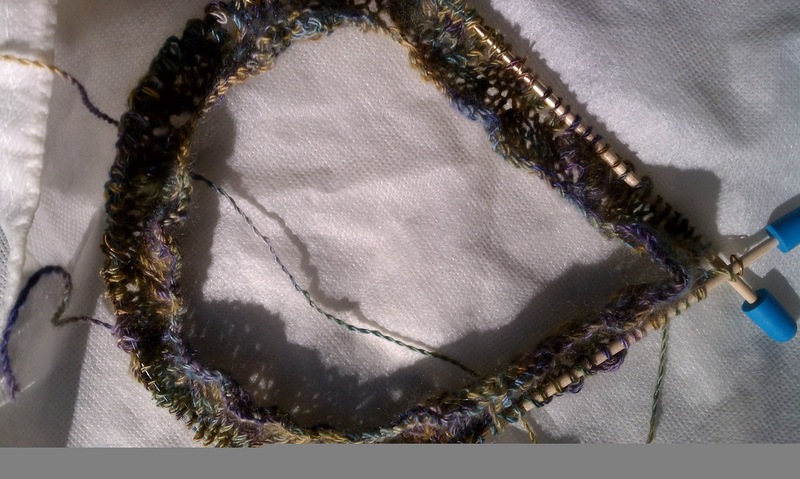 The technique did not apply to me at the time of its release, but I was fortunate to have it handy when I attempted my first lace. I will learn the two-row technique just for kicks. This pattern, however, will be knit entirely with the simple method. You can also follow my progress on Ravelry.com. My account name is ‘Gamermom‘ What?!? Does that surprise you? Shouldn’t! All my recent projects are named after video games. Previous Previous post: Coming soon…A Re-assessment Of My Next ‘Firsts’!